The House Armed Services Committee has concluded that President Barack Obama “misled the public” and broke several laws when he swapped five Taliban leaders for Army Sgt. Bowe Bergdahl. The committee presented several findings in its report. The Committee was misled about the extent and scope of efforts to arrange the Taliban Five transfer before it took place. The Department of Defense’s failure to communicate complete and accurate information severely harmed its relationship with the Committee, and threatens to upend a longstanding history and tradition of cooperation and comity. The prisoners learned about their transfer on May 29, 2014, while Congress knew nothing. The department finally alerted Congress on May 31, “less than two hours” before the terrorists departed from GTMO. The Committee also found that the five prisoners resumed their activities once they reached Qatar. “It is irresponsible to put these terrorists that much closer to the battlefield to settle a campaign promise and unconscionable to mislead Congress in the process,” said Thornberry. In August 2014, the Obama administration brushed aside a report by the Government Accountability Office (GAO) that said Obama broke the law with the swap.The GAO cited the fact that the Pentagon or Obama did not notify Congress 30 days before they transferred the five prisoners. They also said the DoD “wrongly used $988,400 from a wartime appropriations to facilitate the transfer,” said the report. 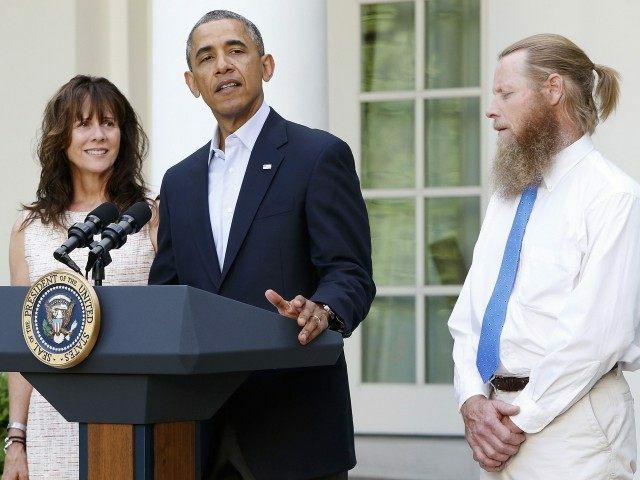 The release coincided with the release of Bergdahl’s participation with NPR’s popular “Serial” podcast. In it, he claims he deserted his unit “to highlight poor leadership” and even compared himself to character Jason Bourne. He claimed he fled his unit in order to “create a DUSTWUN – a radio signal that stands for ‘Duty Status Whereabouts Unknown’ – to highlight poor leadership within his unit.” Bergdahl knew his disappearance would cause a “hurricane of wrath” and a manhunt.